The four circular frons emphasize the integration of talents and skills from the four creative partners. Another fortunate facet of the name is the typographical aspect of the name – four letters like the four partners, each equally dramatic and ‘fused’ to represent how the collection of talents synchronize. The main theme behind our brand derives from the idea of four creatives joining forces to deliver a single, convenient and comprehensive marketing package to the business environment – ‘the whole enchilada’ if you will. 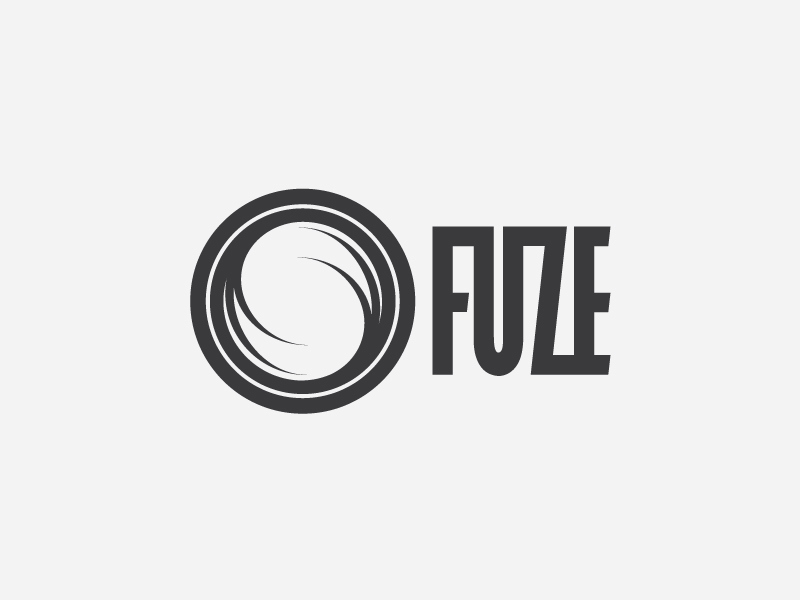 The unanimous agreement to name this collaboration “FUZE” ignited the brand’s motivation. The process of building the brand identity was swift and painless – two weeks as opposed to the preceding three weeks spent selecting a suitable name. Our initial commitment to a using a black background wavered initially, but soon won when it became increasingly apparent that this option was in fact more striking than its plain white counterpart. 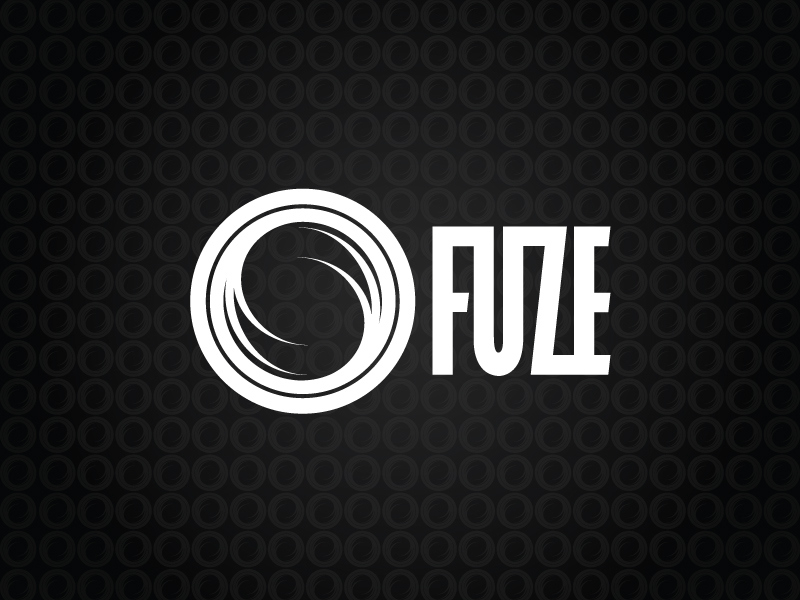 The FUZE brand reflects a ‘fusion’ of marketing media and disciplines. The original image was one of four energy cables fusing into a single dazzling image of inspiration and creativity. The preference for a circular device as opposed to one with corners reflects a desire for a more streamlined wholesome image more representative of unity and completeness. It’s naturally repeating cycles also imply continuity. The black background was felt to be more sophisticated and symbolically more representative of the environmental noise and confusion within which FUZE crafts its magic. 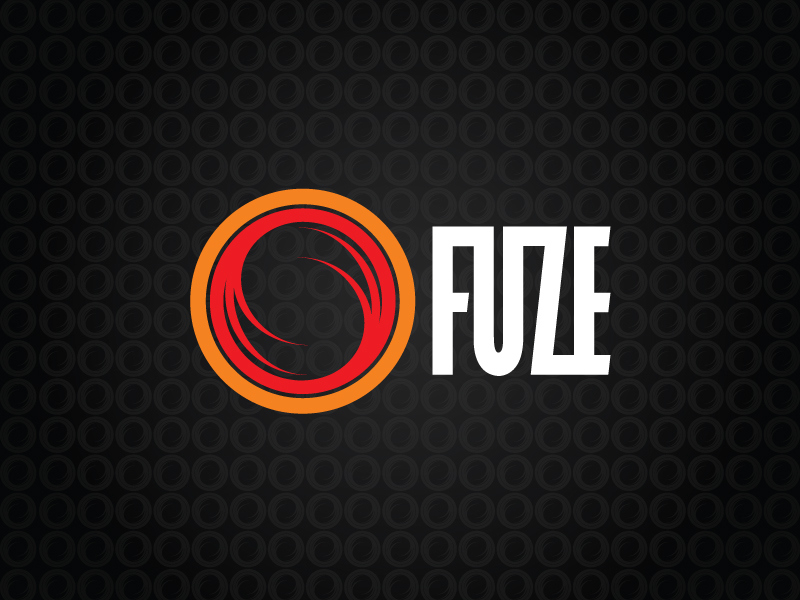 That said, occasionally for the sake of convenience, FUZE’s logo also has to ‘shine’ on a white background which it does courtesy of the striking red and orange colours. The beauty of the design is that the role these two fiery colours play also duplicates quite dramatically on the black background without any additional amendments necessary. The simplicity of the overall design is also representative of FUZE’s work ethos. A more simplistic and crafted design is usually preferred, and is often more dramatic whilst less confusing.